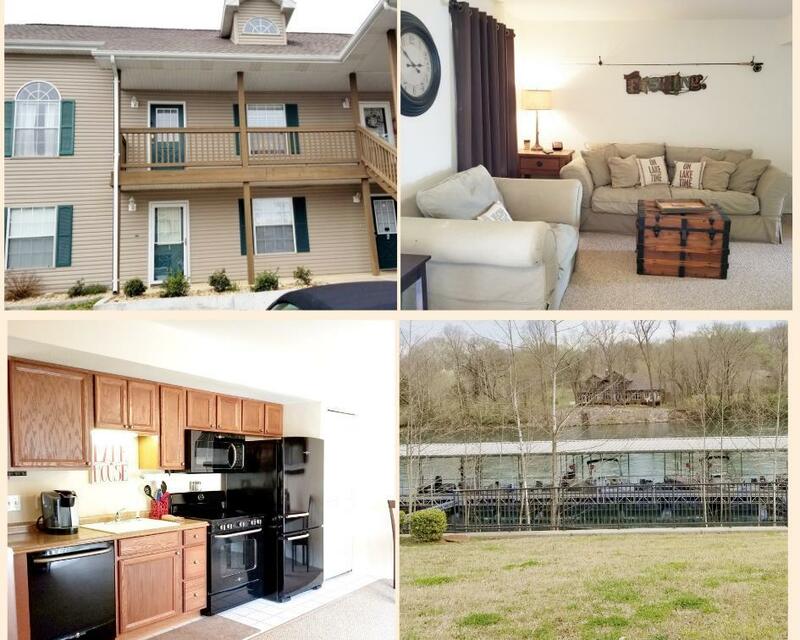 Convenient and cozy, this ground-level condo has easy accessibility to everything Branson has to offer. Perfect for the investor who wants to do nightly rental or for the weekend getaway fisherman with the marina just down the road. Take a sunrise jog or evening walk to the water's edge of Lake TaneyCoMo and just a short drive to Table Rock Lake with boating, fishing, skiing and more. This end unit features full-size kitchen appliances all included, Jack-N-Jill Sinks, washer and dryer, and a spacious outdoor seating area with green space perfect for Bar-B-Quing or a long summer nap. Low cost utilities and maintenance make this the perfect place for anyone on the go to see Branson attractions like Silver Dollar City, White Water and the famous Branson Landing. Come tour today!